(0 Customer Reviews) | Write Review 4 issues per year The Flower Arranger is the world’s leading magazine for flower arrangers featuring step-by-step designs, interviews with celebrity designers, botanical art and features on every aspect of cut flowers. 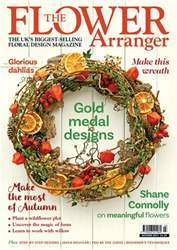 Dedicated to the world of flowers, The Flower Arranger offers articles on a broad range of subjects linked by a common theme. The magazine’s objective is to inspire and educate and to bring people together with a common love of flowers. It is available by subscription to members of NAFAS (The National Association of Flower Arrangement Societies), by individual subscription, and through the news stands. Every issue includes designs from across the world showing innovative design and exciting new techniques. It also aims to teach through the step-by-step designs and You Be The Judge – an article that asks readers to judge a competition for themselves to see if they agree with the official judge. 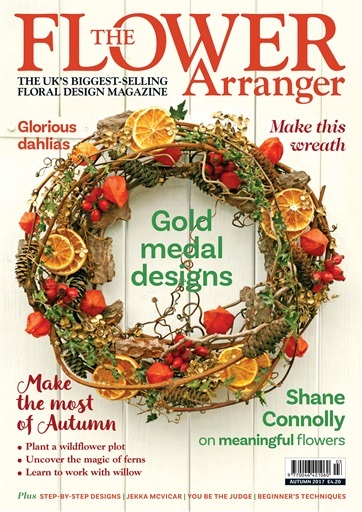 The Flower Arranger is the world’s leading magazine for flower arrangers featuring step-by-step designs, interviews with celebrity designers, botanical art and features on every aspect of cut flowers. The Flower Arranger will help the church flower arranger, those who wish to create their own wedding flowers or to get inspiration, NAFAS members who want up to date information on floral events happening across the world and the person who simply loves flowers and wishes to arrange them effectively in the home. You'll receive 4 issues during a 1 year The Flower Arranger magazine subscription. You'll receive 4 issues during a 1 year The Flower Arranger magazine print subscription.